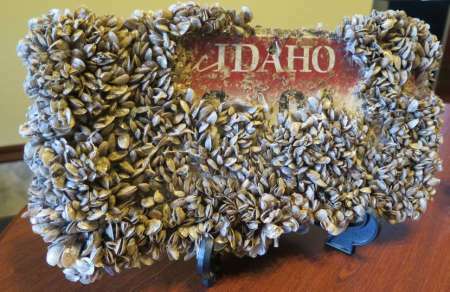 Nic Zurfluh, invasive species specialist at the Idaho State Department of Agriculture, will discuss the threat of aquatic invasive species – specifically Quagga and Zebra mussels – being introduced and established into the State of Idaho. Both species of mussel can wreak havoc when introduced to a new environment by disrupting the natural food chain and crowding out native species. They are prolific and range in size from microscopic to the size of a fingernail, attaching themselves to hard and soft surfaces. Although the mussels are not established in Idaho’s lakes and reservoirs, most waters of the state are vulnerable to future invasion. Nic will provide a background on the history of the program and pertaining current law and rule. He’ll also make a “Call-to-Action” to the group for assistance in cleaning, draining and drying all water related equipment as well as reporting any aquatic invasive species found in the field.